"Hakuna Matata" is a song sung by Timon, Pumbaa and Simba from Disney's 32nd animated feature The Lion King. It was composed by Elton John, who also composed other songs from the film, and with the lyrics by Tim Rice. It was nominated for the 67th Academy Award for Best Original Song, but lost to another song in the film, "Can You Feel the Love Tonight?". The song is also ranked #99 on the list AFI's 100 Years... 100 Songs, along with "When You Wish Upon a Star" (#7), "Some Day My Prince Will Come" (#19), "Supercalifragilisticexpialidocious" (#36), "Wind Beneath My Wings" (#44), "Zip-a-Dee-Doo-Dah" (#47), "Beauty and the Beast" (#62), and "The Rainbow Connection" (#74). It is one of only six songs from Disney that made the cut. Little Voices - Show Tunes brings together five fun musical songs specially selected and arranged for young groups and choirs. 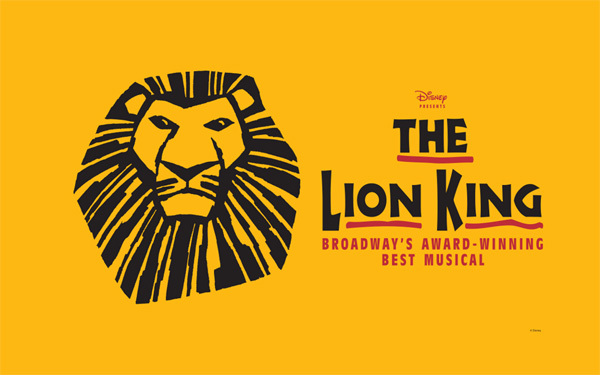 Easy arrangements of 15 songs from this hit Tonyae-winning musical: Be Prepared - Can You Feel the Love Tonight - Circle of Life - Endless Night - Hakuna Matata - I Just Can't Wait to Be King - King of Pride Rock - The Morning Report - Shadowland - They Live in You - more. The Lion King is a 1994 American animated feature produced by Walt Disney Feature Animation. Released to theaters on June 15, 1994 by Walt Disney Pictures, it is the 32nd film in the Walt Disney Animated Classics series. The story, which was strongly influenced by the William Shakespeare play Hamlet, takes place in a kingdom of anthropomorphic animals in Africa. The film was the highest grossing animated film of all time until the release of Finding Nemo (a Disney/Pixar computer-animated film). The Lion King still holds the record as the highest grossing traditionally animated film in history and belongs to an era known as the Disney Renaissance. A musical film, The Lion King garnered two Academy Awards for its achievement in music and the Golden Globe Award for Best Motion Picture - Musical or Comedy. Songs were written by composer Elton John and lyricist Tim Rice, with an original score by Hans Zimmer. Our deluxe songbook features piano/vocal arrangements of 14 songs by Elton John and Tim Rice from this beloved Tony-winning musical. Includes a special section of fantastic full-color photos from the Broadway production! A souvenir folio from one of the most-loved Disney blockbusters of all time, featuring full-color scenes from the movie and five songs: Be Prepared - Can You Feel the Love Tonight - Circle of Life - Hakuna Matata - I Just Can't Wait to Be King. Songlist: Circle Of Life, I Just Can't Wait To Be King, Be Prepared, Hakuna Matata, Can You Feel the Love Tonight? This unique souvenir folio features a stunning 3D-like cover to commemorate the 2011 release of The Lion King in 3D! In addition to superb illustrations from the film, the book includes PVG arrangements of six now-classic songs in all-new engravings: Be Prepared - Can You Feel the Love Tonight - Circle of Life - Hakuna Matata - I Just Can't Wait to Be King - Nants' Ingonyama. Features 14 favorite Disney hits sung by pop superstars: Can You Feel the Love Tonight (Elton John) - Colors of the Wind (Vanessa Williams) - A Dream Is a Wish Your Heart Makes (Linda Ronstadt) - Go the Distance (Michael Bolton) - If I Never Knew You (Jon Secada & Shanice) - Someday (Donna Summer) - more! From the hit Disney movie, The Lion King, the African words mean no worries. Includes optional clarinet part. The tune is infectious and great fun! Available: SATB, SAB, 2-Part, ShowTrax CD. Performance Time: Approx. 3:00. From the hit Disney movie, The Lion King, the African words mean no worries. The tune is infectious and great fun! Includes clarinet part. Available: SATB, SAB, 2-Part, ShowTrax CD. Performance Time: Approx. 3:00. From the hit Disney movie, The Lion King, the African words mean no worries. The tune is infectious and great fun! Available: SATB, SAB, 2-Part, ShowTrax CD. Performance Time: Approx. 3:00.